I recently spent an amazing week skiing in Les 3 Vallées in the french alps. 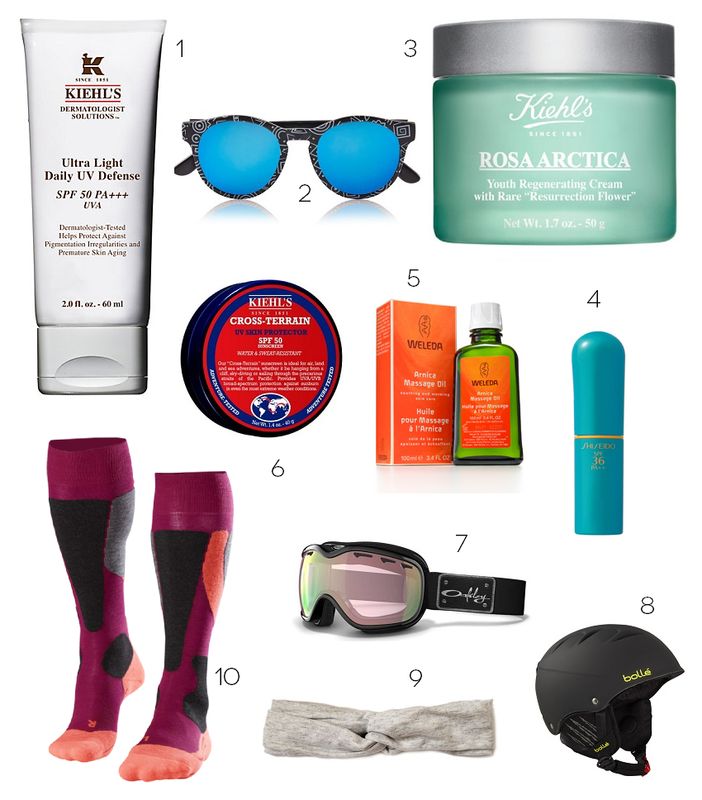 We had a bit of everything: sun, clouds, snow and warm days, so I figured it would be useful to put together a list of essential items for those of you planning to spend the holidays in the snow. Hace poco pasé una semana increíble esquiando en Les 3 Vallées en los alpes franceses. Tuvimos un poco de todo: sol, nieve, lluvia, calor y frío, así que decidí hacer una lista de los top 10 productos que me sirvieron muchísimo estas vacaciones y que les recomiendo a todas aquellas que pasarán las vacaciones en la nieve. Thanks for sharing it with your readers! I am so glad you included sunglasses. Great post. Thanks for sharing. Even the words like alluring and fascinating cannot do full justice when it comes to describing this blog.